Stop all the tweeting and texting, put your iPhone on airplane mode, prevent your co-worker from snapchatting and make room for the flying drones to bring in the coffin because email marketing is dead! Right? With all the attention on Periscoping, Snapchatting, and Instagramming, the email marketing is still alive and kicking. That doesn’t mean, email marketing doesn’t need a tuck here and there or a complete face lift. It is still one of the best tools a small business has. At least 91% of consumers check their email every day. 1- Blowout the incentives. One report shows that 43% of users expect to hear from a company weekly. So send away! 3 – Keep your email newsletter signup form short. Really short. Consider just asking for an email address. 4 – Add sign up options to your social media accounts. Some social media sites make it easy to add a newsletter sign up option on your social network page. Facebook has numerous third-party apps that let you add custom tab options, such as an email sign up! Do a quick Google search to find how your email service provider integrates with Facebook. Below are the instructions on how to add opt-in forms to Facebook from some popular email marketing services. 5 – Add a newsletter signup option to the comment box. Many commenting sections require that users input their email address to add a comment (done mainly to prevent spam). Since they’re already adding their email, why not add a “sign up for our newsletter” checkbox alongside it? Any place where users are already inserting their email address is a great opportunity to add a subscriber checkbox to opt-in to your email list. 6 – Consider sign up form placement. 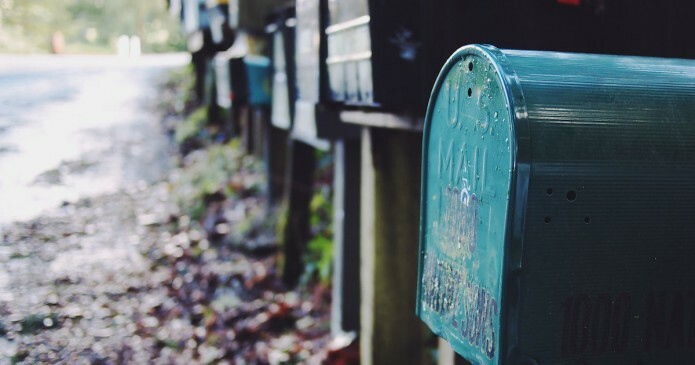 There are a few prime spots most marketers choose to place their newsletter sign up forms. While all these options can work, the optimal signup placement can vary depending on your site design, audience, and industry. A/B test different placements and see what works for you. 7 – Remind visitors of subscriber-only benefits. On your site, tell visitors that newsletter subscribers get exclusive benefits, like your latest and greatest white paper, or free download kits. 8- Consider social proof. Once you have a decent number of subscribers, consider including social proof by indicating how many email subscribers you’ve already obtained. Make sure you test this, though. Some have found this technique may decrease subscriptions. 9 – Add a quote from a customer. Add a customer testimonial to your sign-up box. I have tried this, and our opt-in rate was in the double digits. Doesn’t hurt to have a great image as well. A customer testimonial is a great social proof! 10 – Place your newsletter sign up after your blog posts. Maybe not with every post, but the good ones, at least. 11 – Add newsletter pop-ups to your website. Good strategy, but make it quick to read, just (ideally) one form field asking for an email address, and a big, easy-to-click X to close out the box for those who decline. 12 – Take advantage of your email signature. Link to your newsletter signup page in your email signature (and have co-workers do the same). 13 – Host exclusive give-a-ways for email subscribers. Host giveaways for email subscribers, but make sure to post about the giveaway on your blog and social sites so that everyone knows about the giveaway. They may sign up as a subscriber so that they can join in on the fun! 14 – Add email sign up option to your checkout page. If you’re an e-commerce site, add an “opt-in for our newsletter” checkbox on your checkout page. Don’t forget to remind them about the coupons they’ll get which they can use on their next order. 15 – Always be testing. For example, recently I changed the call-to-action button on an email opt-in form. I slightly changed the call-to-action and color. See the changes below. The blue button out-performed the green by 100%! That means for every five email subscribers with the green button I was getting 10 with the blue. As you can see, the two forms are identical except for the button text and color. What have you done to freshen-up your email marketing program?